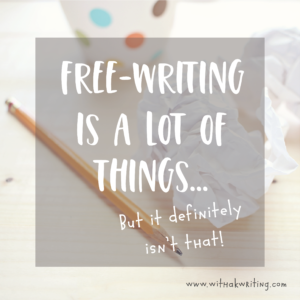 Ok, so I recognize that “Cage Match” may not seem like a normal thing to bring up alongside your Writing Process, but it will all make sense in a minute – I swear! We all get frozen sometimes when we are writing. 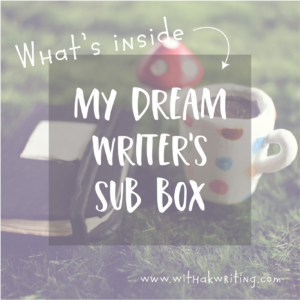 A few weeks ago, I talked about how that freezing sensation has nothing to do with Writers’ Block, so what does that leave us with? How do we deal with it, if we can’t blame it on the inspiration lottery? No worries. I have an answer for you. 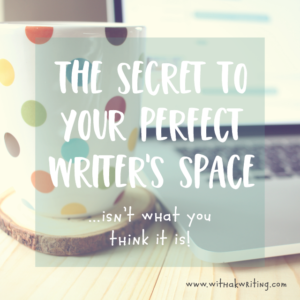 A cage match is roaring away in your head when you sit at the keyboard (or notebook), and there is absolutely no way you will be able to write comfortably until you calm that madness down. Get those two fighters back into their corners and call for some order up in here, kitten. I don’t buy into the idea that you have to either be a creative person or a rational person. Yeah, yeah. We all love taking personality quizzes. Who here hasn’t clicked on a “What your favourite toilet paper brand says about you” or “Which Teenage Mutant Ninja Turtle are you” link? Categories. Teams. Comfortable ways to try to package our abilities and personalities up into something that makes more sense to us. But we’re people – and one thing I know about people is that we rarely make sense. Don’t get me wrong. I have been a major brain-team cheerleader in the past. Imma let you take a stab at which side of the brain I shook my pom-poms for. I’ve always been categorized on the right-brain team, which is fair. I mean…I was a drama geek who sang in a garage band and wore gigantic green plaid pants I found at a thrift shop for 5$ (it was the 90s….gimme a break). I wrote weird poems like “Ode to Eating” and painted pictures of mermaids on my CD covers. I was poster child for the right-brained teenager. But I was also student council president, sang classical choral music in Carnegie Hall at age 14 and had a complex system for keeping track of my vinyl collection and the mixed tapes I made from them. They were Dad’s records to be honest, but I was a teenager…I thought they were mine. As an adult, my greatest achievements and successes have come when I embraced both sides of my brain. And let them each have their own moment to shine. Teaching, cooking, momming – heck, even as a park ranger – my greatest work has always come out when I let my creative side be creative and my rational side be rational. But – and here is the real kicker – it only works when I give those two pieces of myself a specific job to do, and a specific time to do it. Do you remember working in groups in school? 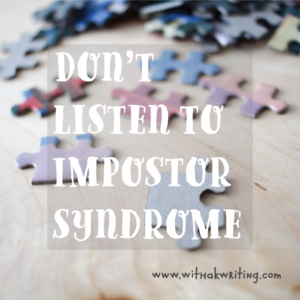 At first, you got super excited because you got to hang out with your best friend and gossip…until you had to do some actual work, and then it got a bit difficult, right? I’ve seen this a lot lately as my younger daughter who is kind of a carbon copy of me has started taking on big projects and working here on them. There are certain friends she works really well with, while some others? It can get tense. The partnerships and collaboration dynamics are the real project, these days. One friend of Bri’s will let her creative steamroller personality totally lead. She doesn’t shut down Bri’s energy and encourages her to go with her vision, so the ideas they come up with are amazing and grand. She’s cool with sitting back and letting Bri run the show…but she doesn’t reign in little Miss creative-pants when the project deadline really doesn’t allow for a 3D double-habitat model, and a video newscast on pretend location in the jungle (meaning…we need to build a set), AND a poster board with written material either. It’s super cool that the right-brain got to come out and play, because all of those ideas made the end result super cool, but the left-brain probably should have come around first and set up some ground rules: some parameters for right-brain to play within, so that the project could happen smoothly and fairly – without everyone staying up way too late the night before the due date, or having to later redo important sections that got left out. The other option – the one that goes even worse than that – is when a strong left-brain buddy comes into the project with just as much steam-roller mojo as Bri. This happened just lately, and it was tough for the little Miss to handle; she had never gone head to head with a partner before who was willing to say, “No! My way.” They struggled hard. All of their energy went into fighting over which way they should tackle the project…and it ended up being a really tough thing for their friendship, as well as their assignment. How do we fix it? How do we get the Science project ready without coming to blows (or tears)? I sat with the girls and we did the left-brain, categorizing thing and planned who was going to do what and when and how. We made a plan, and we kept it totally rational and clear. Then they each went off with their jobs and their plans, and it worked! They finished the whole thing with NO problems or confusion or stress. They knew what they had to do, and they knew what the parameters of their roles were. It was awesome. So how do we get from a Grade 7 Science project to a blog post or novel manuscript? It’s all about letting your rational brain do the work it likes best, and then letting your creative brain do its happy-thing within the parameters your rational brain set already. They need to work together and stop fighting in your head…because that’s distracting, and really not effective. This is why the Writing Process is so important to me. 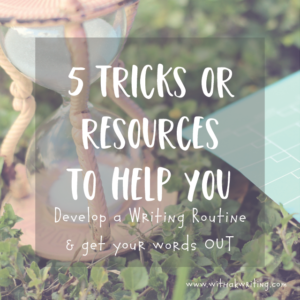 It allows your rational brain to plan, research and outline your writing like a map (Prewriting), so that your creative mind can come back later and explore without getting lost. You can have fun playing creatively (Drafting) within the plan your rational mind already set up, knowing that good ole left-brain will be back later to tidy up (Revising and Editing). When you give your different sides specific jobs to do within the Writing Process, you are far more likely to have that clarity of vision that comes when the task at hand is clear. The decisions have been made in advance, and your passion for the subject you are writing about can come out naturally. Have you ever felt like your brain was in a cage match with itself? Tell us in the comments below about a time your creativity needed a little rational guidance. Or what about the time your left-brain needed a little right-brain creativity. Thank you for this. I love the idea that we can let both sides of the brain play together. It’s definitely something I’ve had to work at, but it’s made a huge difference. I love my creative work, but I love it more when I’ve built myself some scaffolding first. Especially when I’m working with something a bit tricky like wax. If I go in without some kind of preparation I just end up with hot wax burns on my arms and oil paint in my carpet. Don’t get me wrong. I like a good mess, but burns and ruined carpet do not make me happy. I don’t encounter the cage match as you call it often during writing, but I tend to when it’s time to take something from a big, shiny idea and breaking it down into steps and then follow through. That’s my weakness, which shows up mostly when I begin to do something that takes long (like, writing a book). We’re whole-brained beings, every last one of us. It’s funny, Nela; I was planning on writing about this when we got into that conversation about right and left brained-ness, but I had to hold back from getting into my rant about it on Twitter. There’s just not enough space there, right? As far as breaking the idea down and following through – it works a LOT better when you give your analytical side time to shine. 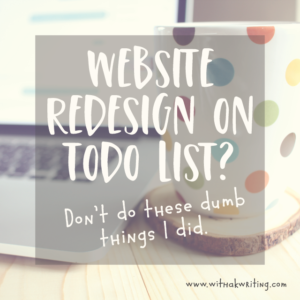 When I put myself into that logical, planning frame of mind, I can really be strategic about planning for my creative side to have everything it needs to do it’s thing well. The follow through is naturally more likely to happen that way. I have to do the same thing with my scrapbooking projects. Scrapbooking is a mixture of storytelling, art and design, so I feel that I have a battle of the brain happening regularly. I think that setting up a plan and letting the creative side go for it, is great advice! I think it happens with any creative process, Alice. When I have time in my life to do it, I love to draw. I used to have a really hard time letting my free and creative side do the sketch first, so I had to set up the canvas with quadrants and think about how I was going to create the drawing before I started exploring it. Writing and drawing: both require practice, which requires follow-through as Nela and Kris were saying. Set up the plan, left brain, and follow it, right brain, and rewards will come … My son has done drawing exercises Every Single Day for about 14 years … and his skills are awesome. On the other hand, my left brain makes splendid plans in the evenings, and in the mornings my right brain says, “Nah …. gotta go do something else …” Consequently, my skills are paltry. So … maybe I’ll fool my warring personalities into getting into habits … such as, “Starting project. Eat breakfast. Brush teeth. Make outline.” If I do it habitually, it will be done before I have time to think about it, maybe? Thanks for providing a process, Kris. I struggle with this in the early stage of a project, when the idea is there but the directions seem limitless. Staring at the blank screen is the absolute toughest part for me. Love the idea of creating a map through pre-writing to make that empty space a little less intimidating! Thinking of it that way sounds like more fun than outlining! I love to think about it that way, too Renia.